The January Newsletter includes an update on all the projects we have on-going, including the Council’s plans for improving the park. 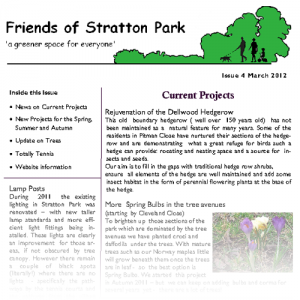 - details of the borough funding for Stratton Park for 2013. Tell us what you would like it spent on. 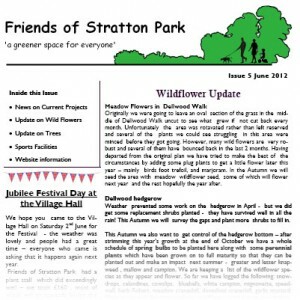 Our latest newsletter is available to view online, at the link below.